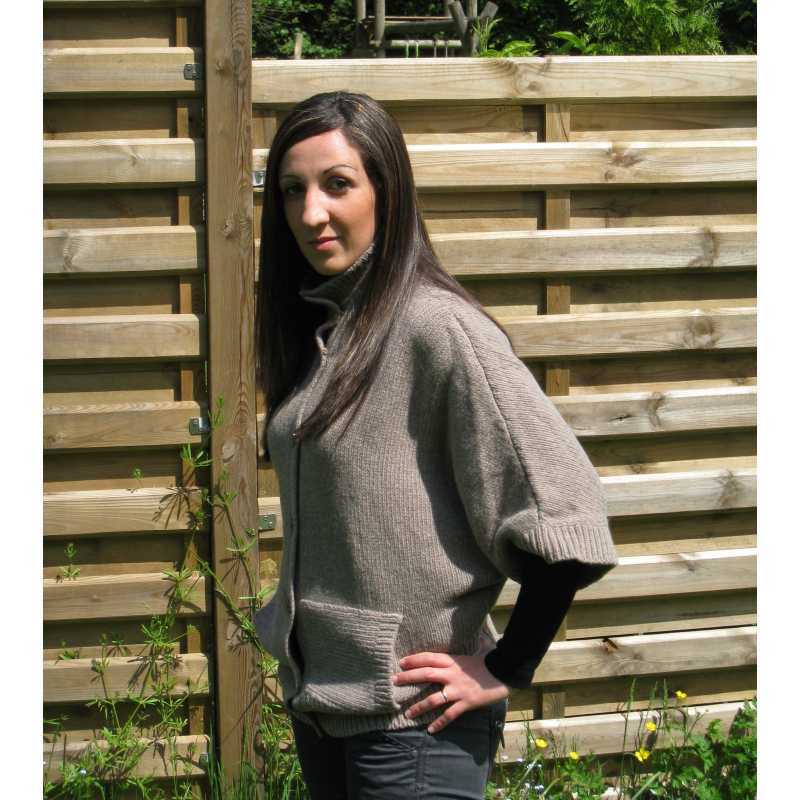 Original and very soft, this cardigan Fisherman Out Of Ireland for woman is composed of 80% virgin merino wool and 20% alpaca wool. 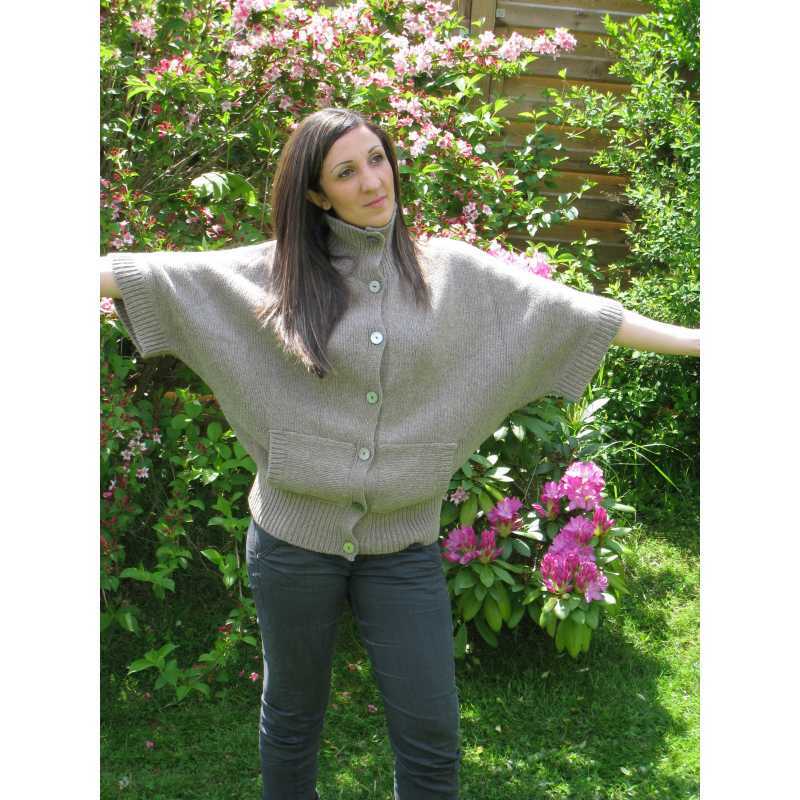 Its wide batwing 3/4 sleeves offer some ease. The closure is done using metal buttons until collar. Ribs line the collar, sleeves, square pockets and the lower end.